Remember those old "Reel to Reel" movies? Wouldn't it be nice to have them in a format that would play on your television? No more need to set up that old projector and screen anymore. You can have them put to DVD. At the present time Digital Memories does not offer 8mm film to DVD, or VHS to DVD transfers. 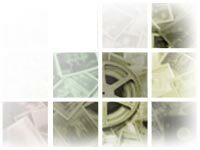 Please visit the links below for your home movie transfer needs. Please visit www.JimmyRea.com for quality film and video transfer to DVD services. If this is a service you are interested in learning more about please contact us for more information.